When it comes to smart tracking we usually thinks about people using technologies in smart ways. There are many softwares and apps are around the globe that provides smart tracking features like GPS Tracking, Heartbeat Rate Tracking, Fitness Tracking, Face Tracking etc. Yeah.. That’s available but using it in real life according to business perspective is an intelligent choice. These are the top 10 companies that uses smart tracking. But before discussing on that why smart tracking is this much useful? What problems it solves ? When i was surfing on these smart tracking topics to prepare my content. I observed that every companies saves their time and manpower using smart tracking in their businesses. Move Now is using 3d motion tracking devices in their hardware and software which gives lots of data and accurate results. They improves fitness of humans by providing various fitness tracking features. In these sonic speed lifestyle, you often forget minor things, but important, such as keys, headphones, charger, bags, to solve this problem tile comes with its product that track your item wherever its located. Smart Tracking delivers safety edges through high exactitude navigation. It ensures aircraft fly systematically within narrow and defined ‘tunnel’ in the sky, leading to inflated situational awareness and certainty for each pilots and traffic controllers. In the industries of drone, Smart Tracking also plays important role. DJI uses smart tracking to provides many features like rotate drone circular around the person’s location, return to home and many more. Prime Air is one of product of Amazon to carry out deliveries on air with help of drones. They use smart tracking in their drones to locate shipping location. Prime Air is currently not available on all cities. Nowadays people use smartphone’s GPS to track their devices or to use it for location tracking but they do not give much information such as “How many times driver had worn a seatbelt”, “The area where person is going is safe or not”. GeoTab provides a telematics that gather so much data and present that data to users with visuals. Some well known companies like Uber and Pepsico use GeoTab to track their drivers and shipping trucks respectively. Tesla is now making smartphone app called “TezLab” which provides all driving and car information with deep analytics like average speed, brake use and quality, overall efficiency, gas money saved, miles-to-charge-depletion ratios, phantom-drain rates, etc. Convexicon provides a robust software platform 3DeTrack™ for tracking vehicles live on roads. In context of smart tracking, they provide features like Fuel Sensor, RFID Reader, Bio metric machines, door sensor, temperature sensor and personal gps tracker. Tobii was founded in Stockholm in 2001, and has become a key figure in the eye tracking world, with a huge amount of publications using their tools. Providing eye tracking units for research, assistive technologies, and gaming, it has shown itself to be a versatile and formidable company. Eye tracking units with glasses and VR headsets are available. AMS is a private business company that provides high quality fleet tracking systems at a market-leading price and high cost efficiency. It aims to improve driver’s behavior, fleet performance and quality of the customer service. Besides, it offers industry expertise and multiple beneficial services, such as different payment options, 24/7 reporting and operational health checks, as well as multi-network roaming SIM cards. Some months back we created our platform for On Demand taxi app. With this platform, we got a lot of inquiries for building similar solutions for different business services in different countries. It kept me wondering why businesses are interested in building an Uber for X. So I dug dip to understand the entire concept for Uberification of Everything is the future. 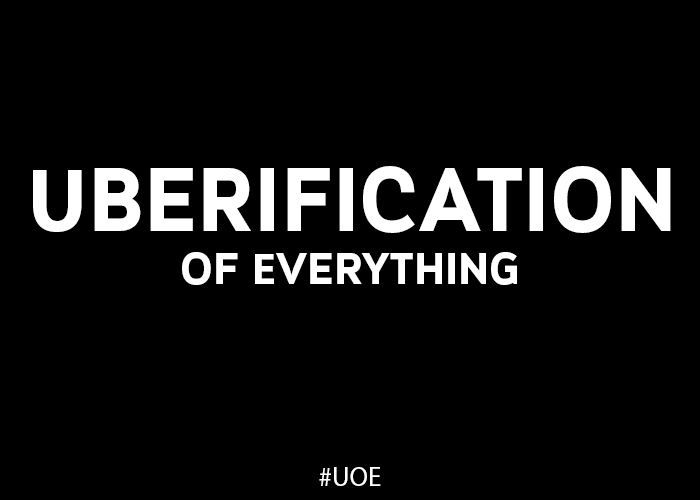 What do you understand by Uberification? Uberification defines the ease of On-demand services in a simple way. When a user is able to book and utilize that service in few minutes is what I claim as uberification. It all started with search engines which gave us the convenient access to an unlimited spread of information available on the internet. The First search engine was created in 1990. With the disruption of mobile technology, things became even more accessible. In 2009, Uber was launched and it was a major disruption in the On-demand service model. Looking at Uber’s success, many new businesses were formed on the similar On-demand service model. Suddenly you see an Uber for Food, Uber for Salon, Uber of medicines etc. Why the Buzz of Uberification? Uberification is convenience tech. People today don’t want to wait for a product or service for hrs, they want everything in minutes, hence Convenience tech is the future. On Demand, Businesses are running on this psychology of delivering convenience to the user, as it buys time and saves effort for the customer. On Demand services gives instant gratification of receiving something when you order. You don’t have to wait for that service. These On Demand services have given rise to an On Demand economy which helps you to cater to all the needs by making the products and service available to the user in real time and as per their convenience. What is the potential for Uber for X? $103bn Uber for private tutoring (note 10): Cambly(language only), StudyHall,Creating an Uber for X is not just about creating an app which is an On Demand service model, it involves businesses to understand the user better and create their own convenience tech for on-demand product or service which they are delivering. If you are a business looking to build an Uber for X then reach us at info@iviewlabs.com. Securing humans and automobiles to things with IoT. How tracking sensors are not just used in the Automotive Industry but they are now shaping the way we track each and every surrounding we operate in day to day lives. Last 2 years have been really intense for us in terms of designing and fulfilling the real need of enterprises to track the mobile workforce in the field and to track the moving automotive. The enterprises today are not just confined to offices and work is not happening only in the corridors of offices, workforce today are mobile and a lot of work is carried out off office space and hours. So, in the changing times, everyone needs real-time visibility of the things on the move. Like a simple example of you being tracked and traced by your mobile phones in traffic on real-time basis and tools today such as Maps and tracking software are able to gather your continuous data by moving in the real-time traffic. Such tracking helps to create transparency which in turn increases productivity and reduces the cost for businesses. – HealthCare: Whether tracking people of Alziehmer to tracking a Diabetic or a patient with cardiothoracic diseases, tracking patients is a need for healthcare. Such patients can be tracked by RFID sensors or Radio sensors or GPS sensors in the mobile apps and through which our solutions raise the alarm when something goes wrong with their Health. These solutions are also used to track the grazing animals which are of utmost importance for the biological ecosystem. – Kids Tracking: Here the kids can be tracked using RFID sensors which are power based which helps parents to ensure their safety. – Car Tracking: Automobiles are seriously vulnerable to the theft and rash driving behavior when it comes to the rental business of the on-demand taxi booking business. 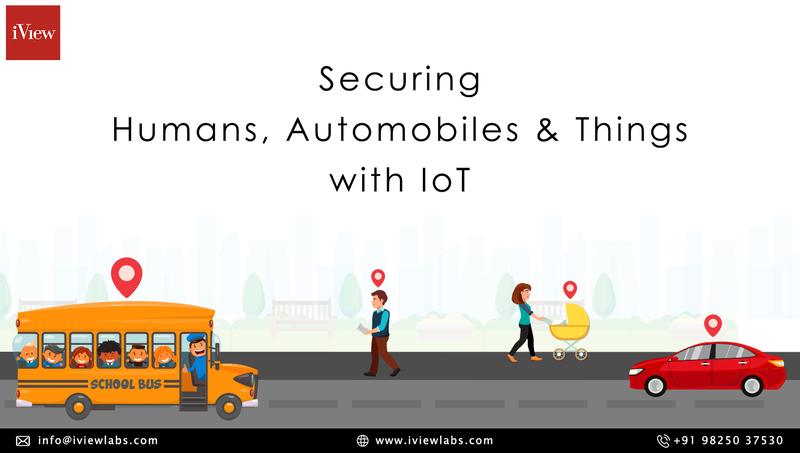 Whether it is running an OLA, Lyft or Uber type of applications one needs to ensure that the entire Vehicles are necessary to be tracked and position of the real-time movement of the cars are to be determined. The tracking and movement of the cars can be determined using the GPS sensors which are far more accurate and can determine the location on the realtime for the cars and vehicles. Not only restricted to these above case studies – the team of iView Labs are working rigorously in the field of tracking to apply the same on a different day to day use cases. Our team is constantly working on creating efficient ways of tracking people, cars, things etc. Today, we are tracking 10m+ profiles of a municipal field staff and verifying the same in the case study of Voter’s database through which the municipal field staff and move across the different locations and acquire the voters’ database. Kindly write us if you need any help in the space of digitizing your business, enterprise mobility, and tracking solutions. Our product experts will be happy to help you. You can reach us on info@iviewlabs.com or call us on +91 98250 37530. Please check our demo link on the following youtube channel. Posted on March 6, 2018 Author iView LabsCategories Internet Of ThingsTags App like Lyft, App like Uber, cab booking, Cargo & Logistics Management, Delivery & Dispatch Automation Softwares, Delivery App, Field Force Tracking, Fleet Management, Fleet Management Systems, GPS Vehicle Tracking Devices, Mobile Field Workforce Management, On demand dispatch App, taxi aggregator, taxi and transport, taxi booking, Taxi Dispatch Solutions, taxi hailing, uber clone, uber like, uber like app cost, uber like app cost in IndiaLeave a comment on Securing humans and automobiles to things with IoT.